131118 Miltowns Seanie O’Brien.Pic Arthur Ellis. HE will be completely behind Miltown on Sunday and will celebrate as much as anyone if they create history and win their first Munster senior club final. Yet deep down, Seanie Malone will feel slightly adrift. While 2018 has proven a superb season for his club, Malone has been injured for most of it. 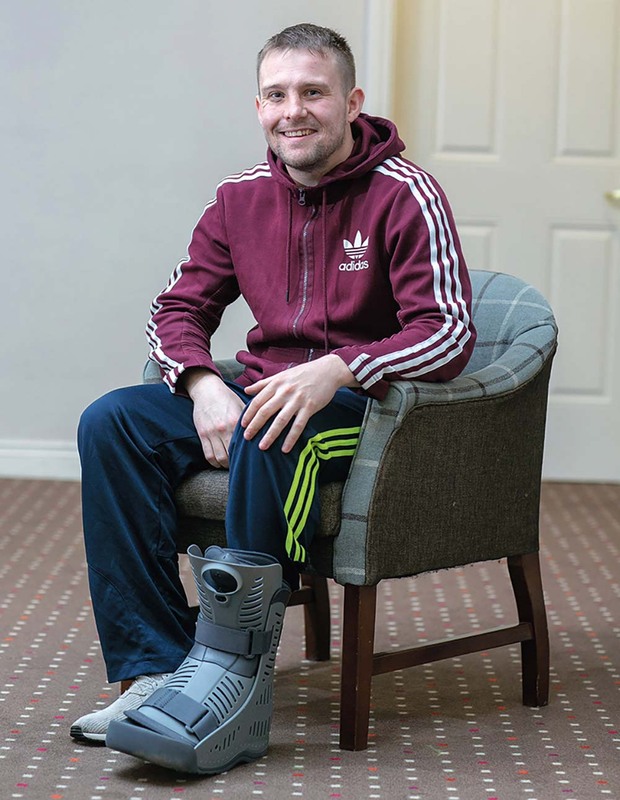 The 26 year old, who works as a Quality Technician at Mincon in Shannon, currently has a broken bone in his foot and unfortunately it is his third long term injury this season. “I tore my hamstring at the Brian Casey tournament in Lissycasey. I was out for six weeks with that. I was back and played in the Wolfe Tones game in the championship. We were training on the following Tuesday night. I tore a cartilage in my knee and had to have an operation on that. I was out for about eight weeks and came back from that. I had put a lot of work in with Eoin Murray. I missed the Clondegad and Cratloe games. I did about two weeks training for the county final. It probably wasn’t enough but I felt good going in. I came on for two or three minutes and broke a bone in my foot,” the injured Miltown full back explained. “I didn’t take any notice of it at the time but I remember after the game there were shots of pain going up through my foot. We enjoyed Sunday night and Monday. I woke up on Tuesday and said I better get it looked at. I went for an x-ray and it turned out I had a bone broken. It has been a marvellous year for the club but personally it has been tough. I probably wasn’t the best company to be living with either. We have a young lady at home and even trying to pick her up is hard,” Malone added. While the football side of his life has been frustrating, his daughter Fia has taken his mind off the injuries. He’s now an expert on the bottle making and nappy changing front. “You wouldn’t be long learning when you’re thrown into the deep end. You just get on with it. Fia does you good when you go home, smiling up at you. She’s seven months now and that’s the other side of it. She’s beginning to sleep the night now and everything. It’s a great distraction when you go home to Fia and Orlagh. When you see her smile she doesn’t care if you play football or not. That has been a great distraction to be honest. It gives you a different perspective in life. Before Fia, playing with Clare and playing with Miltown was all I was thinking about. Eventually you realise that there is more to life than football too. I’m only 26 so I’d be hoping that there is a few more years in me and she might remember me playing. As long as I stay away from the red and yellow cards!” he laughed. His time on the sidelines has driven home to Malone that things move on. He has been a key Miltown player since his senior debut in 2009 but their panel depth has made up for his absence this year. “You can be done without and I think that’s what has won it for us this year. We have a panel. Last year we got stung with injuries. Darragh (McDonagh) got a bad injury, Gearóid (Curtin) had hard luck and Enda O’Gorman picked up a hamstring injury in the semi-final. We probably hadn’t the panel but the young lads that have come in this year have really boosted it and helped us along. Luckily enough, since I started playing senior in 2009, injury wise I’ve only missed one game. That was the 2015 semi-final with a broken hand. Injury wise, I’ve had a good run of it until this year. This year is different looking in. Don’t get me wrong, when the game is on you’re hoping that the boys do well but it probably just doesn’t feel the same. Although, you would feel part of it. At The Nire game in Dungarvan, I was out on the field with Shane Curtin. Tatyo’s mother, Helen O’Brien came up and shook hands. She said that we’d be out there if we could. Small little things like that help a lot,” he noted. While he won’t be togging on Sunday, Malone will head to Limerick in familiar company. Winning a second championship showed that this generation of Miltown players had something more about them. Malone feels that their 2015 win still left them with something to prove. “A lot of people said in 2015 that we won a handy championship. It was hard to block out that. It was in the back of our mind. This year we just got it right and you finally put the myth away of a handy championship in 2015. But I’d go as far as to say that below in Dungarvan (Munster semi-final) was even more special. There was a massive sense of community on the field afterwards. Everyone seemed so together. I know I wasn’t playing but it was a special time for our club. There was hardly anyone left in Miltown that day. The supporters were amazing and it doesn’t go unnoticed in our group. We really do appreciate it,” he acknowledged. This Miltown panel, excepting the younger players, haven’t always been the most admired in their own town, let alone across Clare football. Perhaps that hardened them and helps them to really appreciate their current status. “In 2012 we went down but even before all that as Gordon (Kelly) said if you stand on a trapdoor long enough, you’ll eventually go through it. We’d been in a lot of relegation finals and when DOB (David O’Brien) came in he really shook it up. He really did a fantastic job in 2013 and 2014. When Mikey (Neylon) came in (2015) he took it to another level. It has been great for the young lads growing up now in Miltown, that they can be proud of their team,” Malone noted. 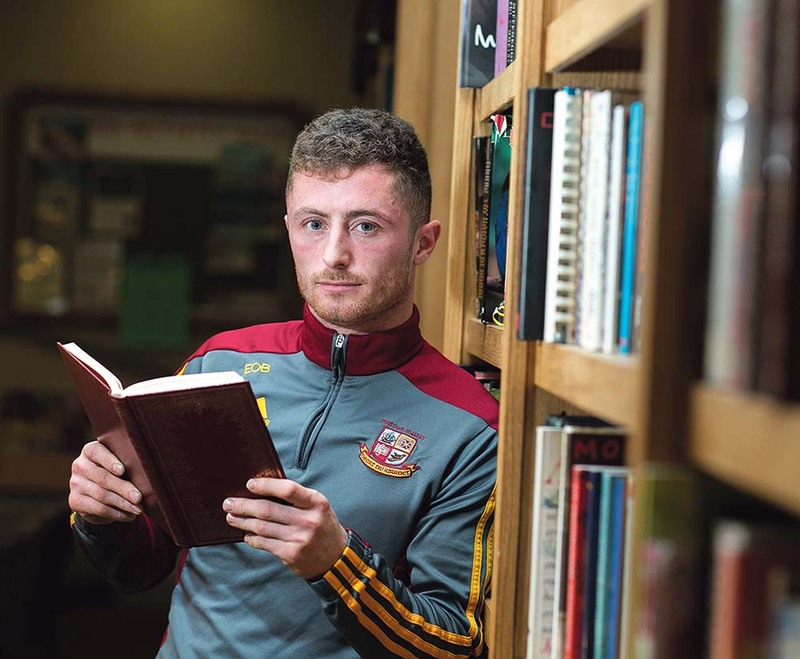 He isn’t thinking ahead to who will win or lose on Sunday, knowing that Crokes are warm favourites and that Miltown must first show up and play with ceaseless energy. “We know what we’re dealing with in Crokes but the way we have approached games even in Clare, you can’t dwell on the opposition too much. You have to focus on yourself. I’m pretty sure that’s the way we’re going to approach this game. Of course, we’ll respect them but you don’t give them too much respect either. It probably will have to be the performance of our lives. We have no control over the result but if we can give a performance that we can be proud of, let the result be what it will be,” the always genial Miltown man reflected.